Floral pendant light made of dyed plastic. Big Bloom is ideal for home and can be used anywhere where you want to leave a touch of elegance. Big Bloom is available in crystal-clear, lavender, mint and white or in the mixed colours purple,lightgreen-mint, darkgreen-lightgreen-mint. 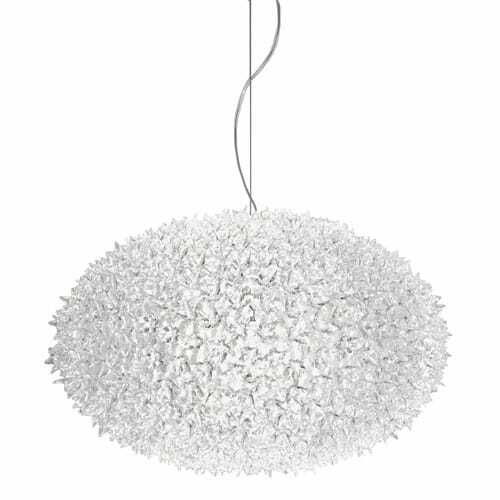 Also available: ceiling lamp Bloom and lamp Bloom New. Do you have a question about "Big Bloom"? How can we contact you?